At £450 when it was released, and a lot less now, the Xperia X makes a curious phone. It doesn’t offer you the best of anything, but it still manages to look and feel great as a phone. It never was sold as a flagship, but despite that, it makes a great phone to have. With features like a great camera and superior sound, it impresses easily. The signature Sony design adds to the charm as well. What it does offer is a dedicated camera button and a fingerprint sensor in the power key on the side. These two features make it rather unique among the usual fingerprint sensor on the back or home, as well as ‘who the hell needs a camera button anyway’. Other than that, the back features the camera, while the front features the screen as well as rounded edges to give you a slight 3D feel. First thing’s first. Fairly soon after I booted this device up, it updated to Android Nougat, i.e. Android 7.0. This is pretty awesome from Sony. A lot of people have to wait a long time for Android updates to their devices. Sony is bucking the trend. Apart from the absolutely great update, the overall UI is fairly clean. It has been skinned, but the skin isn’t much different from standard Android. This means that you can happily find your way around it. It does come loaded with a huge suite of Sony apps. Some of those are great, as mentioned below. Others may not be of much use. For example, if you don’t have a PS4, you can’t obviously use that app. Sony seem to have the idea that they are definitely adding value by giving all these things away with their phones. While it is true for some stuff, there is a line between useful apps and bloatware, and this phone kind of feels in the latter category. While this applies to everyone, what would be great is if a phone asks you during first boot which apps you’d like to run on your phone, or gives you an option after you have set it up, rather than hogging all the space. 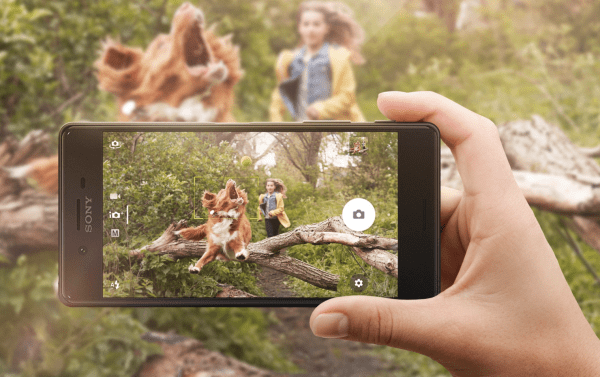 A Sony phone is all about being a media powerhouse. Xperia X is no different. It offers great speakers, high resolution sound and crystal clarity. The screen may not be 4K, but it is full HD and does a great job in showing off colours. More so, what really impressed me was the camera. I had the Huawei P9 to compare, which features the Dual Lens designed by Huawei and Leica together. In comparison was a lens with a lot more megapixels, but decades of Sony technology thrown in. The photos were rather impressive. In particular, how it handled light was great. I can show you a bunch of samples, but rather interestingly, the camera decided to (without any instructions or setup) made the following video for me. It highlights a very dark and grey day, which ended in all of us getting thoroughly soaked thanks to horizontal rain. The best part is, despite having manual settings available, the AUTO just works so much better than many others I have tried. Nothing you see is remarkable, but I was particularly impressed with the colour capture as well as the rainbow it managed to capture. The P9 struggled in comparison. In comparison, you do have the Google Photos version, which is a bit more sporadic. The phone offers 2 days on paper. In reality, we found it to easily last a day, and give us a comfortable 1.5 days on average. Wait a minute! Isn’t the Xperia range waterproof? Well, it used to be. Somehow Xperia X missed the memo. This one isn’t, so be careful! 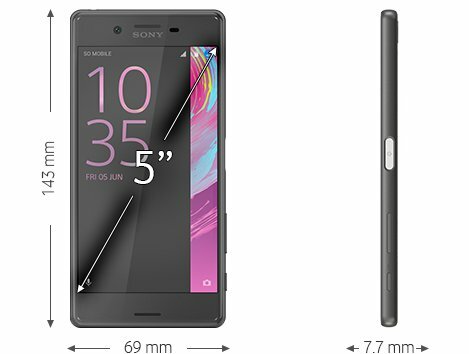 More information on the Xperia X can be found on the Sony page for the device. You can pick one up from Vodafone for around £32/month. You can also grab one SIM Free from Amazon, for around £308. I quite liked my time with the Xperia X. I think it offers a great midrange phone to people who want something decent but not quite able to afford a flagship. Next story Never lose your Cross pen again, thanks to TrackR!